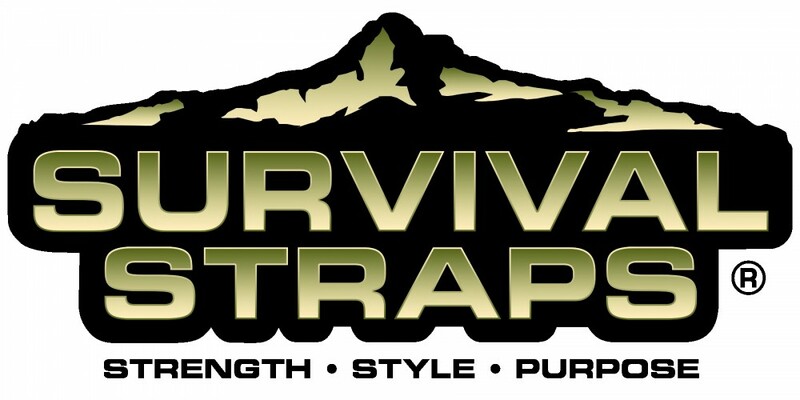 Survival Story: How do you use your Survival Strap? Our friend Doug always is armed with his Survival Strap-especially when he’s teaching people how to canoe. What do you do with your Survival Strap? Let us know: stories@survivalstraps.com. Thank you for your support! Every day at Survival Straps we receive word from a customer or two who has used his or her Survival Straps gear in an emergency! Have you used your Survival Strap recently? Send us your story and some pictures and we’ll send you a replacement strap. Just shoot us an email (stores@survivalstraps.com), or send us a letter-the long handed way-to 1106 A1A N, Suite 100, Ponte Vedra Beach, FL, 32082 with your information and we’ll get back to you. Here’s a story from our friend Beth of hows she used her strap during a Half Ironman! T-minus 30 minutes until race time (5am) of the Half Ironman Florida 70.3 we noticed a missing piece of equipment to secure a water bottle to our athlete’s bike. After searching for possible fixes, the one and only true cure was my survival strap (light duty survival strap with plastic clasp). The survival strap was able to affix the bottle to the bike effectively. The athlete completed a 56 mile bike course without the bottle budging at all and claiming that the survival strap worked better than the normal rubber band mechanism. Thanks for a wonderful product we are looking forward to finding an even more awesome way of using it again! Yep. supporting our American servicemen and women can be this cool! Grab some 550 paracord gear from SurvivalStraps and support the Wounded Warrior Project and the men and women who are serving our country! Survival Straps Launches New Line: US Paralympic Team! The U.S. Paralympic Team is a crucial part of Team USA. Today, Survival Straps is fired up to launch a brand new line to support our U.S. Paralympic athletes! As a small American business, Survival Straps is humbled and proud to now offer Officially Licensed U.S. Paralympic Team gear! Show your support and celebrate the upcoming 2012 London Olympic Games with the coolest American handmade gear around. The U.S Paralympic Team athletes represent empowerment and inspiration and heighten our sense of community, honor, and American patriotism. Let’s represent our U.S. Olympic and Paralympic Team athletes while they represent the USA! Get yours and you’ll be fully prepared to watch Team USA go for the gold this summer in London! Sgt. Mozingo of Team X-T.R.E.M.E is thanked by a 4th grade boy for his service and sacrifice for our great country. Then, Sgt. Mozingo presented the boy with a Team X-T.R.E.M.E Survival Straps 550 paracord bracelet! At Survival Straps, we are proud to support our servicemen and women, the Wounded Warrior Project, and Team X-T.R.E.M.E all thanks to you! Your gear from Survival Straps could save your hide…and help the same men and women who keep us safe and free! Every day at Survival Straps we receive word from a customer or two who has used his or her Survival Straps gear in an emergency! Have you used your Survival Strap recently? Send us your story and some pictures and we’ll send you a replacement strap. Just shoot us an email (stores@survivalstraps.com), or send us a letter-the long hand way to 1106 A1A N, Suite 100, Ponte Vedra Beach, FL, 32082 with your information and we’ll get back to you. Here’s a story from our friend Jeff of how he’s used his strap! My name is Jeff Bova and I am the Transportation Captain for a new television series called “Longmire”.